What are the uses of email marketing programs and social media tools?  How do these marketing programs fare against each ther? Can these programs replace each other? Will you need both of these software for your operations? What are some examples of these software solutions? In the age of modern technology, emails and social media have become the standard mode of communication among individuals. This is why it comes as no surprise that even businesses use these channels in reaching their target audiences. But which medium is best to capture the attention of potential leads as well as your existing clients? The recent years have seen the rapid growth of new technologies. In the area of information and communication, social media is king. However, despite these, marketers continue to go back to email. This is because, for the past ten straight years, the channel creating the highest ROI for marketers is email. A McKinsey report says that when it comes to gaining new consumers, email marketing had been found to be 40 times more efficient compared to social media channels like Twitter and Facebook. In terms of ROI, email marketing can create $38 for every $1 spent. However, this doesn’t mean you should immediately purchase an email marketing software and rule out the use of social media tools. Both offer notable features that will help your marketing efforts reach new heights. All you’ll have to do is weigh the pros and cons that come with each platform, and decide which one will be more useful for your business. 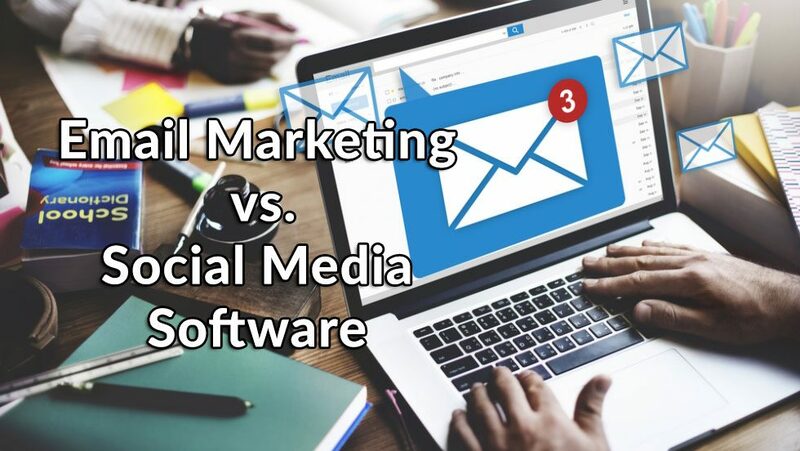 To help you further understand the role of email marketing software vs. social media software, we have analyzed their strengths and weaknesses as well as compared their performance in a variety of aspects. This way, you can better gauge if your operations only require one of the two or both of these programs. What Are The Uses of Email Marketing Software and Social Media Software? Zoho Social Dashboard showing brand health. Email and social media management tools are created to handle the communications aspect of marketing. They are both used as channels to tap your target market, close in on leads, as well as nurture your existing clientele. However, they have different focuses and roles in the sales funnel. Email marketing platforms aim to assist marketers and entrepreneurs in managing promotional emails such as event invitations, newsletters, and ads. Oftentimes, this software solution enables users to target prospects and distribute content efficiently while reducing marketing costs. Its key features include email tracking, newsletter delivery, autoresponders, email customization, and CRM integration among others. While used for contacting qualified leads in order to convert them into visitors, emailing systems are often found utilized the most near the endpoint of your lead pipeline. It is the ideal mode of communication when you are sealing deals with supportive patrons as well as managing leads who are just moments away from becoming paying customers. You can check out our email marketing software comparisons for a few most popular solutions. On the other hand, social media management systems are applications that simplify the monitoring of multiple social media accounts for the purpose of marketing. It is useful for tracking inbound and outbound brand mentions, boosting a business’ internet presence, and rolling out social media campaigns. Some of its main functions are social advertisement management, campaign creation, social analytics,and social sharing. Unlike email software, social media management systems are often most useful at the top of the sales funnel. Crucial for lead generation, it is effective in initiating that first interaction with your target market. You use it to attract visitors, giving you a chance to truly engage with them to see if there’s a good chance for lead conversion. How Do These Marketing Programs Fare Against Each Other? No matter what type of software you purchase, you can get the most out of your money by maximizing the functions that the platform has to offer. However, between emailing and social media systems, the former will help you yield a better profit. This is shown in a 2016 study by GetResponse where 21% of marketers stated that email management software delivers the highest return on investment compared to other types of platforms. Social media management platforms only came in second with 15% of the respondents backing the system. Other than catching the attention of potential customers, the lead generation process requires entrepreneurs to expand their reach. The best way to do this is by using social media. This channel allows you to post information about your business, advertisements about your product, or promote some of your company’s events without having to pinpoint the people who needs to see it. By using social media management platforms, you can publish content much easier as well as tap a wider pool of leads. And, unlike emails, social media allows you to facilitate dialogues with your audience, making your approach seem more personable. Generating leads can be difficult. But, what’s even more challenging is retaining their attention and leading them down the sales funnel. To do this, you will need to take a more proactive approach to nurture them. The best option to accomplish this task is email management software. These platforms offer a more targeted approach in the sense that you get to filter the information you send depending on the customer category they fall in. With social media, you won’t be able to screen who sees your posts and who doesn’t. Understanding what your clients think about your company is crucial in forming future marketing campaigns. To do this, you must be able to monitor what your customers are saying about your products and services. In this regard, social media software reigns supreme. This is because these platforms are equipped with tools that can track brand mentions and help you gauge the impact of your campaigns on a granular level. Can These Applications Replace Each Other? Specialized Functionalities. These programs offer features and tools that are engineered for specific purposes, making it impossible to completely interchange them. For one, email software may be handy for handling your business’ emails, but it might not be as effective in managing social media posts. The same could be said about social media platforms. Limited Capabilities for Additional Features. While there are software with functionalities that can tackle both aspects of marketing, these features are often limited. Meaning if it is an email software offering tools for social media management, the chances are that it will only allow you to perform basic actions for your social media accounts. This might be alright in the first few years of your business, but as your company grows, you will need more powerful programs that can support all of your social media and email management needs. Social Media and Email Campaigns Have Different Requirements. Social media posts and emails serve a similar purpose: communicating with your leads and existing customers. However, the campaigns for these two channels are composed of varying elements. For one, emails are often longer and more substantial than social media posts. Also, unlike emails, social media posts trigger dialogues. This means you will need tools that will help you perform these actions. Will You Need Both to Carry Out Your Campaigns? The use of emails and social media is important for your marketing campaign, and taking advantage of both channels can help you attract more leads. Ideally, you should incorporate both systems into your operations because they tackle different communication channels. This way, you’ll have specialized platforms for various purposes. However, it’s not completely necessary. For small startups and medium-sized businesses, there might not be a need to purchase both types for marketing software solutions. You may choose one of the two depending on your current priorities. If you conduct your business mostly via Facebook, Instagram, or similar sites, then choose a social media management platform. Meanwhile, if you have a tendency to use emails to connect with your clients, then choose an email management system. Should you feel like you’ll be needing the functions of both programs for your operations but don’t have financial resources to spend, you don’t have to worry. As mentioned previously, there are many vendors out there providing emailing software with basic tools for social media management and vice versa. By finding a software provider with this option, then you can hit two birds with one stone while saving a few bucks. Are you looking to invest in both software solutions as you grow your business but unsure which one to buy first? For new businesses who are looking to get their brand’s name out there, it is better to purchase a social media management tool first. This should help you in establishing your online presence and getting initial leads to feed into your email marketing campaign later on. However, if you already have a substantial amount of existing clients as well as qualified leads, then an email marketing platform may be more useful for you. This is because emails can be more personable compared to social media posts, and they are ideal for lead nurturing. All in all, the decision lies in the status of your business at the moment. Which Software is a Better Investment? Considering all the pros and cons that were weighed throughout this article, it is safe to say that no software is better than the other. Email marketing tools and social media management systems may have different features and uses, but they are equally useful for your campaign. Whether you choose to purchase both or utilize only one of these programs, you can be sure that having these tools at your disposal will help you make strides in your marketing efforts. All you have to do is understand their respective strengths and weaknesses to be able to use them to their full capacity. Now that we have discussed the uses of email marketing software vs social media software, you can now start browsing for a program for your business. Below, we have listed down some great examples of these platforms to help you narrow down your search. If you would like other options to choose from, take a look at our article on the top email marketing platforms as well as our compilation of the best social media management systems available on the market. HubSpot Marketing. Created for businesses of all sizes, HubSpot Marketing is an advanced automation system geared towards growing your traffic and increasing lead conversions. It has best-in-class tools for email management, but it also offers solutions for blogging, lead management, and analytics. Available on-premise or cloud-hosted, this software also has basic social media monitoring options. HubSpot Marketing offers a free subscription plan for small businesses as well as paid plans ranging from $50/month to $2400/month depending on how many contacts you need to support. You can sign up for a HubSpot Marketing free trial here. Wix ShoutOut. Wix ShoutOut is a marketing software that focuses solely on email management and newsletter building. Accessible on both desktop and mobile devices, this program can help you customize emails, manage your mailing list, launch campaigns, and measure the ROI of your emailing efforts. For pricing, Wix ShoutOut is available for $4.90/month to $44.90/month but they also offer free plans for those who handle fewer contacts. You can check its features for free when you sign up for a Wix ShoutOut free trial here. Exponea. Known for combining the power of marketing automation and analytics, Exponea is a cloud-hosted software ideal for all sorts of companies. It offers cutting-edge email management tools, campaign reporting solutions, A/B testing options, and a number of other features that tackle different aspects of marketing. Exponea is only available by quote. Prices depend on the number of data points and combination of features you will be using. Want to see the features at no cost. You can easily sign up for an Exponea free trial here. SendX. A reliable all-in-one email marketing automation system, SendX combines multiple marketing tools into a single platform. It features tools for capturing leads, deploying website popups, push notifications, automation, remarketing and retargeting, and much more. With all your core marketing tools available within your fingertips, you can focus on getting the job done instead of wasting time configuring disparate systems and trying to make each tool work with one another. Zoho Social. Zoho Social is an intuitive tool built specifically for social media marketing. It allows you to manage multiple accounts in one convenient platform to speed up your operations and optimize the way you plan your marketing campaigns. Equipped with scheduling tools, activity logging options, and real-time monitoring features, this program also enables users to track brand mentions and log activities with ease. Zoho Social offers a free plan as well as paid subscriptions for businesses and agencies. If you want to see its advanced features you can quickly sign up for a Zoho Social free trial here. Hootsuite. A social relationship platform, Hootsuite enables users to plan, launch, manage, and measure marketing campaigns. It leverages the power of social analytics, multi-channel marketing, and access sharing so that you can maximize your use of social media with little effort. For pricing, their payment plans range from $19/month to $99/month depending on how many social profiles you will be handling. They also have a quote-based plan for large enterprises in need of more advanced features. Facebook Pages Manager. Facebook Pages Manager is a free mobile program created to help entrepreneurs manage their business’ Facebook pages. It offers professional-grade tools that let you streamline your operations with the way you handle your social media account. Other than creating events, scheduling posts, and boosting the visibility of your page, this application can also translate your post into different languages. Whether you own a startup or an established enterprise, any promotional campaign you plan requires thorough preparation and sufficient knowledge on the tools you intent to use. In this case, understanding which kind of software you need is key in achieving your marketing goals. Hopefully, through this article, we were able to shed some light on the various features of email marketing software vs. social media software. If you have questions about the topic, please don’t hesitate to leave a comment.